Discussion in 'Vape Reviews' started by Elegomall, Feb 14, 2019. 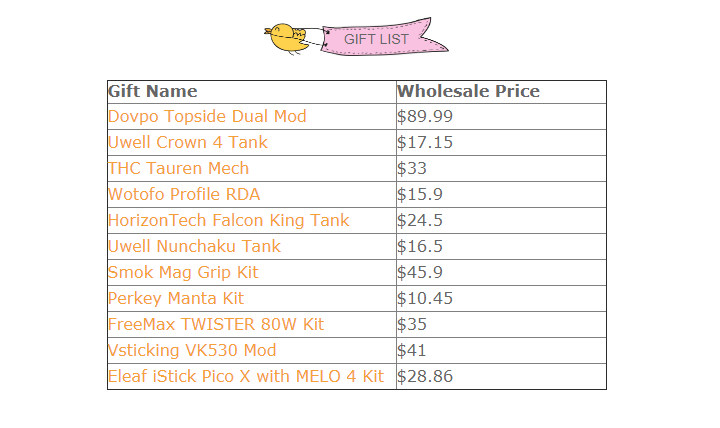 ElegoMall here provides a total of 358 USD free vape gifts to you. Today is the last day to win it. How to join and win it? Come on and join now. Please share with your friends about this good news. <ElegoMall> Winners Announcement and Congratulations!